Crook County On The Move volunteers want to hear from gardeners who have grown more veggies than they can manage. The organization committed to promoting healthy lifestyle choices and improving wellness in the community through healthy activities, awareness and accessibility to healthy lifestyle changes is looking for people who can share their excess bounty. Group volunteers have reached out to four locations in Prineville that will accept excess vegetables from gardens, and they are helping direct people to those locations during the appropriate times of the week and correct times of the day. "Our goal is to make it as easy as possible for people who have excess to donate, and people who are looking for it to know where to get it," said CCOTM volunteer Carol Benkosky. Fellow volunteer Kristi Hiaasen said that the program is made possible by a $4,000 FEAST (Food, Education, Agriculture, Solutions, Together) grant awarded by the Oregon Food Bank. The grant initially spurred a community gathering in March where people discussed their concerns and ideas regarding food insecurity in Crook County. "After that conversation, there was interest in two main areas," Hiaasen recalls. "One was making sure people knew about the food resources that we had — that was most important. Right behind that had to do with gardening and mentoring and helping people to grow their own. This (veggie share program) was sort of the natural outgrowth of that because people who are growing their own, if they have a successful garden, generally you have more than what your family can actually eat. So what do you do with that excess?" 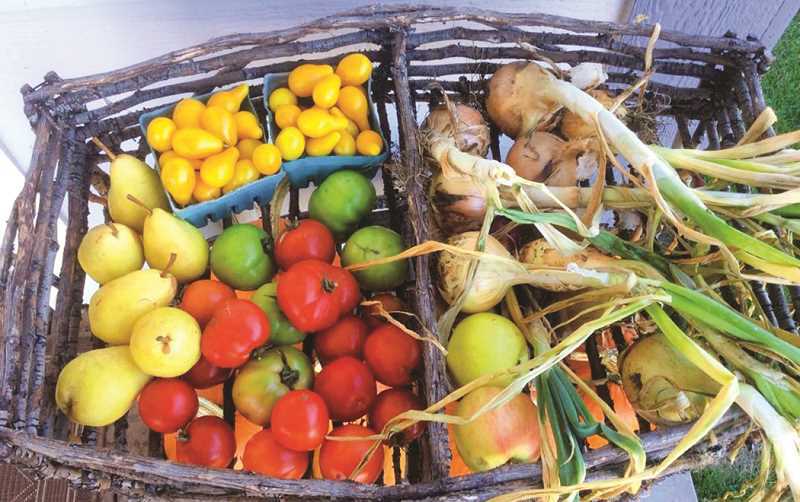 Both Hiaasen and Benkosky admit that they have no clear feel for how much excess vegetables people are growing. So as the group launches this first veggie share program, they will operate under assumptions they have developed while growing their own gardens and talking with fellow green thumbs in the community. "I don't know any home gardeners that don't have too much at some point in time," Benkosky said. "Maybe they only have enough to share with family, friends and co-workers, but if you are successful at all, at times you are going to have excess." However, Hiaasen said they are counting on this first attempt providing a better sense of what to expect as they continue this effort in subsequent summers. "I think in a sense, we are planting a seed — forgive the pun," she said, explaining that people might plan to grow more vegetables next year and beyond if they are aware that organizations will be seeking donations. "There are a lot of communities that stress 'growing a row' for the food bank," she said. The four locations participating in the veggie share program include St. Vincent de Paul, Craig's Compassionate Café, Prineville Soroptimist Senior Center, and First Baptist Church. Each location is asking people to make donations on select days of the week and times of the day that coincide with their hours of operation. "We are going to be advertising the four locations that we vetted out in the community that said, yes, we can use more vegetables and this is the time and place that we need it," Benkosky said. Hiaasen stressed that people should donate food that is still at or near its peak in quality — food that people would be willing to serve their own family. Crook County On The Move also urges people to handle fresh fruit and vegetables safely to minimize risk of foodborne illness, avoid mixing produce types and keep each type in a separate and clean container, clean off as much mud and dirt from produce as possible and choose fruits and vegetables that have no signs of mold, spoilage or insects. At the same time, Hiaasen points out that people who are acting in good faith to donate quality produce are not liable if the food later causes harm to the recipient. The Bill Emerson Good Samaritan Food Donation Act protects food donors from civil or criminal liability. "I think sometimes homeowners will be a little leery for that reason," she said, "so it is important that people know." St. Vincent de Paul, 904 NE Court St. – Mondays 9 a.m. to 3 p.m.
Prineville Senior Center, 180 NE Belknap St. – Monday-Friday, 8 a.m. to 2 p.m.